Concern over high false-positive rates and the potential for unintended harm to patients is a critical component of the lack of widespread adoption of lung cancer screening. An institutional database was used to identify patients who underwent lung cancer screening between 2/2015 and 2/2018 at Rush University Medical Center and Rush Oak Park Hospital. Reads were executed by dedicated thoracic radiologists and communicated using the Lung Imaging Reporting and Data System (Lung-RADS V.1). Six hundred and four patients were screened over the study period. We identified 21 primary lung cancers and 8 incidental cancers. We identified a false-positive rate of 17.5%. Only 9 patients underwent further investigative workup for benign disease (5.3%); however, only 4 (2.9%) of those patients were found to have inflammatory or infectious lesions, which are common mimickers of lung cancer. 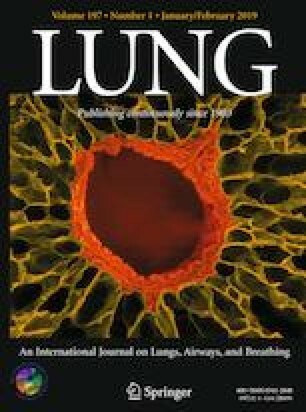 Excluding Lung-RADS category 3 for the purpose of quantifying risk of unintended harm from unnecessary procedures, we found a 6.9% false-positive rate, while diagnosing 25% of all Lung-RADS category 4 patients with primary lung cancer. False-positive rates in lung cancer screening programs continue to decline with improved radiologic expertise. Additionally, false-positive reporting overestimates the risk of unintended harm from further investigative procedures as only a percentage of positive findings are generally considered for tissue diagnosis (i.e., Lung-RADS category 4). This work has not been presented at any prior meeting. All authors had full access to the data in the study and takes full responsibility for the integrity of the data and the accuracy of the data analysis.